At The Great Little Junk Shop, we carry used computers, all working good and all guaranteed ! We take the old computers you see on the right, upgrade them and refurbish them to like new again. 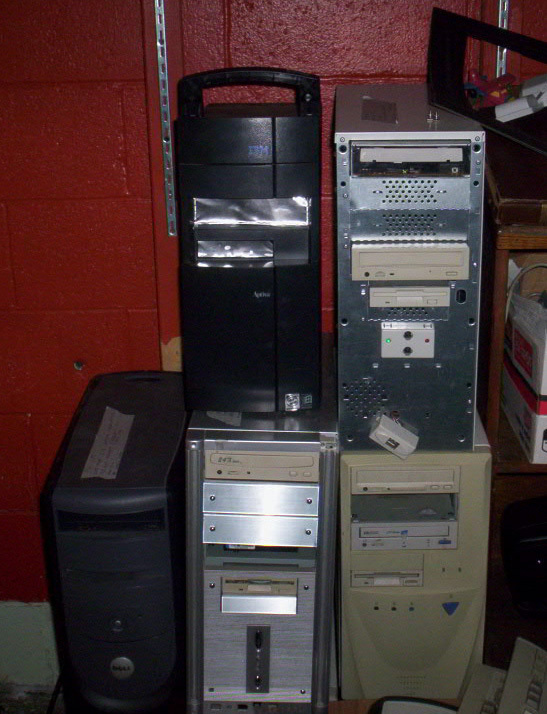 We also do upgrades of hardware and software, repairs, and will even build a new computer or you. We even do web design work, from simple sites to Flash and animation as well as E-commerce shopping cart sites. We are really a store within a store.